Cleaning is one of those thankless jobs, that most people only notice when it hasn't been done. There's no one way to go about tidying up your home, but whether you choose to hire someone else to do it, keep on top of things each day yourself, or save all your chores for the weekend, the reward is the same: a clean orderly space that smells fresh and looks inviting. 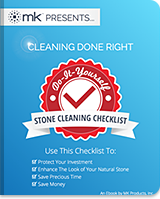 It's hard to believe that a product like natural stone which can take a perpetual beating from Mother Nature, can be destroyed at the hands of the wrong cleaner, but it happens. 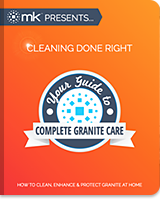 Granite may be one of the hardest rocks there is, but if you're using the wrong granite shower products to clean it, you'll get a glimpse at just how vulnerable it really is. Nothing makes a statement in your home like natural stone flooring, and granite is no exception. The same properties that make this gorgeous stone a hit on kitchen counters also make it a great candidate for flooring, though the additional wear and tear from foot traffic means you may need to apply a little extra elbow grease to keep them looking like new. The average household has about the same number of cleaning products as it does surface types, so it's easy to see why you may want to try to simplify matters every now and then. 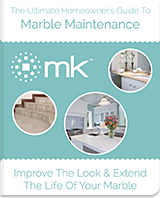 Since very few people clean for sheer pleasure, it remains a chore, and once armed with a spray bottle and cleaning cloth, that glass cleaner you just used to clean the bathroom mirror or patio door suddenly seems like a great option for your counters - but the question remains: is it safe to use Windex on marble or other stone surfaces? Is It Safe to Use Windex on Marble? 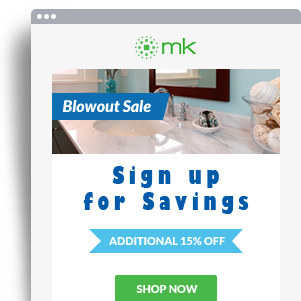 ▼ Pick your location, surface and condition, and we’ll show you the products you need. Simple as that! Natural Stone is Expensive, Don’t Ruin It! Subscribe with us for product updates & more!